While we might like to think that aviation soars above it all, recent examples show how aviation can be politicised. Aviation is being transformed into a new form of soft power. Aviation has been integral to globalisation. It has increased the speed at which trade, travel and diplomacy occur. However, in recent years with the politicisation of aviation, it has become a new form of soft power aimed at pressuring national carriers and their governments in international disputes, including Brexit, the One-China Policy and US sanctions on Iran. Politicisation of aviation not only jeopardises the ‘Open Skies’ policy that minimises the effect of politics on civil aviation, it also risks the safety of civilian passengers. 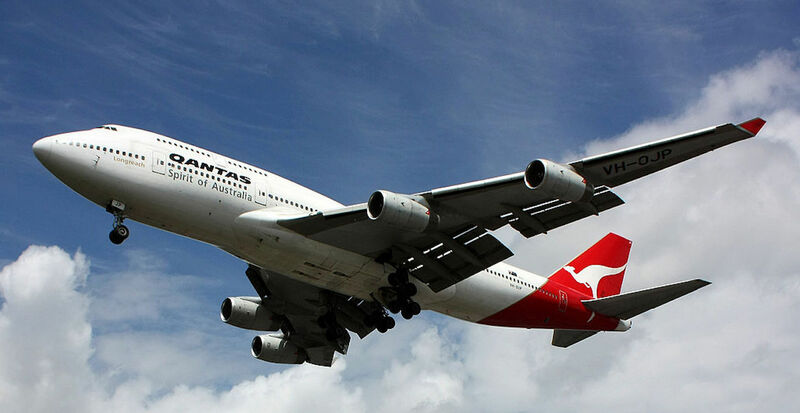 The lifting of sanctions due to the Iran nuclear deal saw several Iranian airlines purchase USD$ 40 billion (AUD$ 54 billion) worth of Boeing and Airbus planes to update their aging fleets. Prior to the agreement, international sanctions prevented Iran from purchasing new aircraft and spare parts and undertaking necessary maintenance. Rather than retiring older aircraft, Iran’s airlines are forced to continue flights and use counterfeit or black-market parts for maintenance despite safety concerns. Since the 1979 Revolution more than 2000 Iranians have died in plane crashes. Under international sanctions Iranian airlines also had to carry sufficient fuel for both the outbound and inbound flights to Europe due to airports being prohibited from refuelling Iranian aircraft. This was lifted in 2016 due to the nuclear deal but will likely be reinstated under US sanctions. Boeing has stated that it will comply with US sanctions and has cancelled the orders made to Iran. Airbus, however, is in a much more problematic situation. US sanctions prohibit US companies from doing business with foreign companies that engage with Iran. Although a European multinational company, many parts of Airbus planes are manufactured in the US, effectively subjecting Airbus to US sanctions. This has caused a further diplomatic row between Europe and the US as European powers seek to circumvent US sanctions. Iran has also put pressure on European leaders and Airbus to fulfil their obligations under the nuclear deal and the contract for Airbus aircraft. Only three out of 100 ordered Airbus planes had been delivered to Iran. Under impending US sanctions, Iranian airlines will again likely seek black market parts for their aircraft and risk the lives of civilian passengers. In mid-2017 Saudi Arabia, the United Arab Emirates, Bahrain and Egypt closed their airspace to Qatar Airways as part of the blockade against the Gulf nation. As a result, Qatar Airways flights from Doha to Europe must now fly through Iranian airspace, adding hours onto the original times. Flights to Africa must also travel through Omani airspace and the Gulf of Aden to reach their destinations and flights from Doha to Sao Paulo now refuel in Athens due to these new diversions. This blockade also prevents direct flights between Qatar and the Arab countries that have cut off diplomatic ties. As such, a typical direct flight from Doha to Dubai which would normally take one hour now takes over three hours with a layover in either Oman or Kuwait. This dispute escalated in August 2017 when Saudi Arabia and Qatar accused one another of blocking Qatari Hajj pilgrims from flying to Mecca for the annual pilgrimage. The financial strain due to the blockade on Qatar Airways has been substantial according to the company’s CEO, Akbar al Baker. However, the blockade will likely only empower the national carrier in its dispute with its Arab neighbours. Saudi Arabia’s flag carrier, Saudia, is also no stranger to the politicisation of aviation. In 2015 Saudia terminated a multimillion dollar contract with Hi Fly, a Portuguese airplane-leasing company, when an empty Airbus A330 with Saudia livery was spotted at Ben-Gurion Airport in Tel Aviv for maintenance. This rare sight caused political embarrassment for Saudi Arabia as it has no formal recognition of Israel. This isn’t the only incident of aviation politics between Saudi Arabia and Israel. For the first time in March Saudi Arabia allowed an Israel-bound passenger plane to fly through its airspace, effectively ending a 70-year ban on commercial flights to and from Israel through Saudi airspace. This marks a further thawing of relations between the two countries in an effort to counter their common enemy, Iran. There have also been ongoing discussions in Israel of El Al, the Israeli national carrier, pushing for the rights to fly through Saudi airspace, which would further indicate a growing Saudi-Israeli pact. The One-China policy has been central to China’s foreign policies. 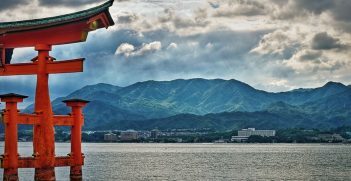 In May this year the Civil Aviation Administration of China (CAAC) called on 44 carriers to modify the way they refer to Taiwan. This has been part of a broader policy of pressuring large multinational companies to conform to mainland China’s policies regarding its territorial claims. The CAAC has stated that foreign carriers must refer to Taiwan and Hong Kong as Chinese territories and must be illustrated in the same colours as mainland China. Failure to follow the CAAC’s orders would result in heavy punishment under Chinese regulations. Brexit negotiations will also have a strong impact on European aviation. The current European Union Open Skies Agreement allows EU-member airlines to operate in any EU country. However, if no agreement on the ‘Open Skies’ is made during Brexit negotiations then UK-based airlines will lose the right to operate routes solely in the EU. As such, UK carriers will only be permitted to operate flights to and from the UK. UK airlines such as EasyJet, which operates routes within Europe, will be forced to either cease intra-European routes or establish new EU-based companies to continue its European business. Furthermore, upon leaving the EU, the UK will also leave the EU-US Open Skies treaty and will therefore need to negotiate a replacement with the US. Discussions have already taken place between the US and the UK which have resulted in unfavourable terms for the UK, indicating that not only is the UK’s civil aviation industry is being used as a pawn in its negotiations with the EU, but also with the US. Politics is now intervening on the ‘open skies’ and international disputes are negatively impacting on the way airlines carry out their operations. Pressuring airlines and the aviation industry has now become an advantageous tool of soft power to embarrass national carriers and their respective countries. As the industry grows with travel and trade, politicising aviation will continue to effectively allow governments to determine which countries have safe access to the air. Will McEniry is a former intern with AIIA Victoria and AIIA National Office. 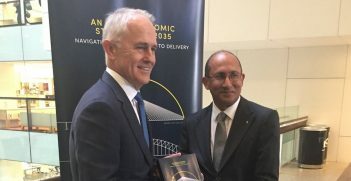 An independent report on an India Economic Strategy to 2035 commissioned by Prime Minister Malcolm Turnbull was released last week. 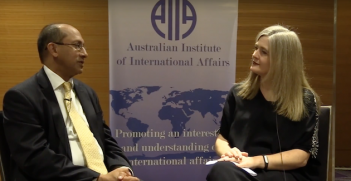 The report provides a roadmap for Australia to engage India as a top priority economic partner over the next two decades.